Master the outdoors on your next trip with these tools! Summer is finally here and it’s time for some well earned outdoor fun. But just because you are in the great outdoors, it doesn’t mean you can’t stay connected. And what better way to do that then with voice command? Before you go out into the wilderness make sure you stop by at your local InMotion store for all the outdoor technology you need. Here’s a list of our top products to make the most of your next outdoor adventure, with a little help from Google and Alexa. If you are looking to listen to your favorite tunes, you should pick up a JBL Link 20 Voice Activated Portable Bluetooth Speaker. This little 8-inch speaker packs a punch with a variety of convenient features. With crisp highs and deep bass, your music will sound like a live concert right by the fire. Even better, one of the features that this speaker comes with is Google Assistant. With the JBL and google apps you can connect your device and say “Ok Google”, to ask how to build a campfire or play your favorite spotify playlist. This device also features a waterproof design so you won't have to worry about any water damage. What does every camping trip need? Marshmallows! When you’re roasting your snacks over the campfire you probably don’t want to use some old stick you found on the ground. Invest in a pack of Marshmallow skewers. Grab your graham crackers and chocolate, or you could be adventurous and try a fluffernutter! Just grab some peanut butter, a marshmallow and chocolate graham crackers or try a Reese’s cup instead of the classic chocolate bar. Believe us, the combination is mindblowing. If you are craving some fire roasted weenies these skewers can do that for you too. Getting some marshmallow skewers can open a whole new world for cooking over the fire. Whether you are a frequent camper or just a germaphobe, you won’t have to worry about finding the right stick to poke your food onto. With the Bose signature QuietComfort active noise canceling technology the QC35II’s will be sure to block out all those pesky cicadas so you can sleep in peace. The active noise canceling technology isn’t the only thing these headphones have going for it. These headphones feature a cushy headband and have up to 20 hours of playing time using Bluetooth or 40 hours using a wired connection before the next charge. The custom volume equalizer settings make your music sound exactly how you want it to. A new feature will now even make these headphones Amazon Alexa compatible headphone so you can tell Alexa to play music, listen to the news and check the weather without moving a finger. Instead of relying on granola bars and beef jerky, why not do some outdoor cooking. You can do a lot with a cast iron skillet. Pack some beaten eggs in a bottle and have some fire roasted scrambled eggs in the morning. For dinner, try a nice juicy steak and finish with a classic dutch oven dessert. The last thing you want happening while camping is your devices dying. Check out the myCharge Hub Max to keep all your tech at full power. These portable devices have varying usage that is determined by mAh. MAh is short for milliamp hours, which determines how long the battery pack lasts and how many charges you will get out of it. The easiest way to know which battery pack to pick is by looking for the mAh (the higher the number the longer your charge!) and balancing that with the features you want. Speaking of features battery packs come with different ports. You can find battery packs with as many USB ports and lightning ports as you might need. With these 5 items, you will be able to enjoy earth’s beautiful sights by the campfire, even more. 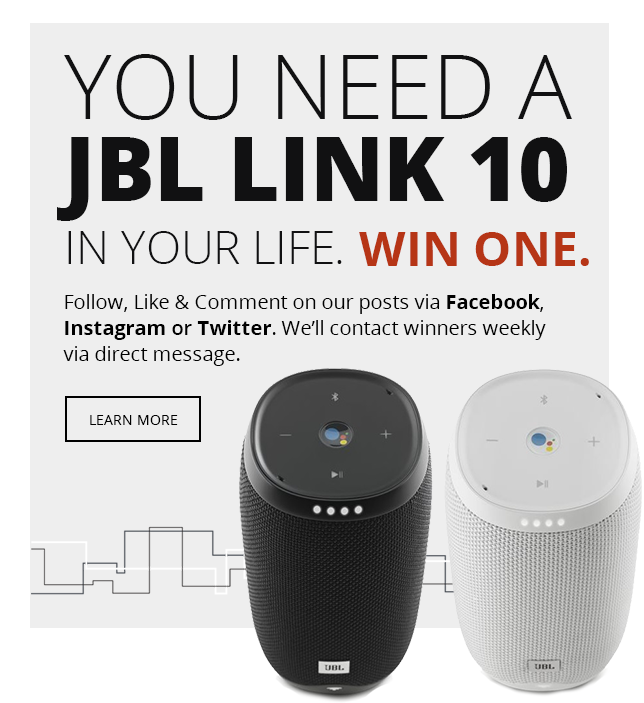 Whether you want to be connected with Google assistant using the JBL Link 20 Voice Activated Portable Bluetooth Speaker or just want to roast some dogs over the fire late at night. When you find yourself staring into the star-filled night sky wanting to listen to some music or you’re just trying to sleep and keep the bugs away the Bose QuietComfort 35 Wireless Headphones II would make a great addition to your camping supplies list. Keeping all these devices charged will be a breeze too, with a portable battery pack that you can use at any time during your time camping. Summer is a great time to travel and enjoy the environment and our staff at InMotion is always happy to help you find all your tech needs before you go out into the wilderness.